Give your servers and workstations a second youth by bringing the performance of NVMe drives, without changing the motherboard or using expensive controllers. 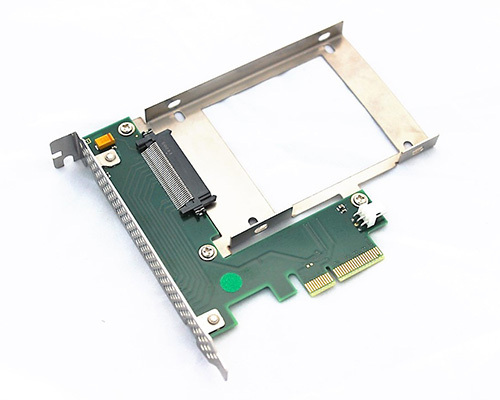 NVMe Instant solution supports standard 2,5’’ NVMe drives and is connected to PCIe 4x. Data transfer drastically increases up to 6 times compared to a regular SATA SSD drive (up to 3,5 GB/s). NVMe Instant is fully compatible with Intel® and HGST® drives – and all other 2,5’’ NVMe vendors.